Cruise ship stocks have provided a surprising source of investor profit. The cruise industry enjoys double-digit revenue and earnings growth in a travel industry where earning a profit often is a struggle. A few companies have cruise ship divisions. Others such as Viking Cruises operate privately. However, when talking about cruise ship stocks, Carnival Corp (NYSE:CCL, NYSE:CUK), Royal Caribbean Cruises Ltd (NYSE:RCL) and Norwegian Cruise Line Holdings Ltd (NYSE:NCLH) collectively dominate the industry. The number of ships and passengers continues to grow, and investors should pay attention to the growth numbers. I have to admit when I first started looking at this industry, I did not see it as particularly investable. News reports create an impression that too many cruise ships chase after too few passengers. Where I am in Texas, cruises out of the port in Galveston sell for as low as $289 per person. That benefits the budget traveler but leaves seemingly little profit margin for the investor. However, upon closer glance, an ample supply of rooms has not hurt profits. In fact, most cruises also offer more upscale accommodations at higher prices. Over time, they have also increased their pricing power. Cruise ship stocks enjoy increased revenue and profits as a result. Carnival is by far the largest cruise ship company. It operates about 100 cruise ships. 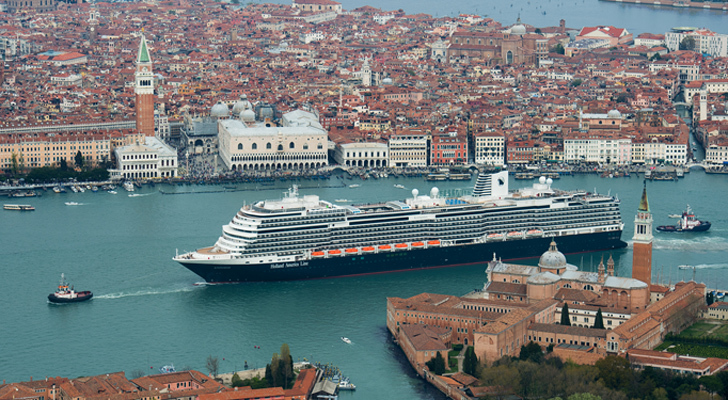 CCL stock represents many lines such as Princess Cruises, Holland America Line and Cunard. It is dual listed on both the New York and London stock exchanges. The company operates its world headquarters in Miami. It also runs a European HQ in Southampton, England, which also trades in the U.S. under the CUK stock symbol. Carnival enjoys just under 50% of the market share for the entire industry. CCL has performed well on the revenue and earnings front. A consistent earnings beater, it earned 52 cents per share in its previous quarter and made $3.82 in profits in the last fiscal year. Analysts expect earnings per share (EPS) to rise to $4.39 this fiscal year and $5 the next. Revenue has increased in similar fashion with the previous quarter showing an 11.9% year-over-year increase. The company brought in revenues of $17.51 billion in the previous fiscal year. Wall Street issued a consensus prediction of $19.03 billion for this fiscal year and $20.46 billion the next. Moreover, the dividend yield of just under 3.1% greatly exceeds S&P 500 averages. This dividend has doubled from 2014 levels and has seen an increase every year since 2015. RCL stock represents the second-largest cruise line, claiming about 23% market share. Royal Caribbean operates 50 ships, some under names such as Celebrity Cruises and Azamara Club Cruises. Like its larger counterpart, the Miami-based company has seen both revenue and earnings climb in recent years. In its last quarter, it beat earnings estimates with a $1.09 EPS. However, the company missed on revenue and only grew revenues by 1%. Though revenue growth lags its larger counterpart, it still grows in the high single-digits on an annual basis. As for earnings, RCL reported an EPS of $7.53 in the previous fiscal year. However, Wall Street places consensus earnings at $8.83 per share for this year and $10.13 per share next year. Dividends have also proved impressive. The company introduced a dividend in 2011. They have since increased it every year. However, at around 2.25%, it lags the yield of its larger counterpart. Third in market share is Norwegian Cruise Lines. Norwegian boasts a market share of just under 10% of the industry. Like its counterparts, it also bases itself in Miami. It also owns the Oceania and Regent Seven lines. In the previous quarter, the company earned an EPS of 60 cents on revenues of $1.29 billion. Revenue grew by 12.2% YOY, beating its larger peers. Revenue growth has remained firm on a yearly basis. The company brought in $5.4 billion last year. For this year, Wall Street predicts revenues of $6.03 billion in fiscal 2018 and $6.4 billion next year. Likewise, the company earned $3.96 per share last year. Consensus estimates place this year’s consensus EPS at $4.56 and predict $5.18 next year. NCLH stock does not pay a dividend. Overall, cruise ship stocks should all benefit as long as people have money to spend on travel. These stocks present an unusual bargain. With profit growth rates in the double digits and forward price-to-earnings (PE) ratios in the low teens, investors receive much growth for their stake. As for which of the cruise ship stocks to buy, I would probably eliminate NCLH stock. I don’t like criticizing a low-PE stock that enjoys double-digit earnings growth. However, I usually prefer buying stocks that are first or second in their industry. NCLH would likely have to buy most of its smaller rivals to match the size of RCL. Plus, its lack of a dividend lessens the appeal. For dividend investors, CCL stock becomes the clear choice. Despite RCL’s longer track record of dividend increases, the higher 3.1% yield from CCL stock makes it the clear winner among cruise ship stocks for dividends. For investors more interested in growth, I think RCL stock enjoys the edge. Analysts expect 15.4% earnings growth for CCL this year and 13.9% next year. For RCL stock, analysts expect almost 17.3% EPS growth for this coming year and predict 14.7% next year. Also, RCL’s forward PE stands at about 12. CCL stock supports a forward multiple of almost 15.3. Hence, RCL stock offers more profit growth at a lower cost. Still, all three of these stocks have performed well. Given the revenue and earnings growth this industry continues to see, I think all three of these stocks constitute an excellent opportunity for investor profit. Article printed from InvestorPlace Media, https://investorplace.com/2018/05/cruise-ship-stocks-should-continue-sailing-into-smooth-waters/.